To get the bad joke out of the way immediately….No I’m not going to write about the TV show. The first installment of this series on power generation can be found here: Power Essentials Part 1: Ground Force & Leg Strength. X-Factor (XF) is a much talked about measure in the golf world and even though you may have never heard of the term, you already know what it is. XF is simply the difference between shoulder turn and hip turn at the top of the back swing. Some people may refer to it as the difference between torso rotation and pelvis rotation. Separation is another term you hear. They all refer to the same thing. The term “X-Factor” was popularised by the famous golf instructor Jim McClean in a 1992 edition of Golf Magazine. Mclean reported that the bigger the size of the X-factor, at the top of the backswing, the longer the distance of the shot. McLean compared five professional golfers with an average tour driving distance ranking of 19th (long hitters) with 5 players who had an average driving distance rank of 161st (short hitters). It was found that the total turn of the shoulders or hips was not important but the X-factor at the top of the backswing was. The long hitters had an average X-factor of 38o compared to the short hitters whose average X-factor was 24o (Mclean 1992). Meister et al (2011) found that peak X-factor was very strongl863 ± 0.134) with club head speed at impact, a known predictor of shot displacement. A number of additional studies also found correlations ranging from moderate to significant for X-factor values and ball velocity, and notable differences in the X-factor between skilled and unskilled players. In general the more skilled players had higher X-factor values and larger ball velocity/displacement (Myers et al 2008; Cole & Grimshaw 2008; Yungchien 2010). The science of the XF is explained by something called the “stretch-shortening cycle” (SSC). The SSC explains the type of muscular contractions that are taking place, and how muscles can use elastic energy. It is well known that muscles can produce more force if they are pre-loaded with stretch before a contraction. This is why we do a quick squat down before we jump up, or quickly pull our leg back before kicking a soccer ball. These motions rapidly stretch the muscles that are about to be used, loading them with elastic energy that can be expressed as we jump up or kick the ball in these examples. It’s a similar mechanism to how the strings of a bow are stretched before they shoot an arrow. Javelin throwers know all about elastic energy. Big stretch of the trunk and torso muscles before ripping it forward. The golf swing works in a similar fashion. During the backswing some of the muscles of the the thighs, hips, trunk, torso, and shoulders are rapidly stretched or pre-loaded, which enables a more powerful contraction on the downswing. 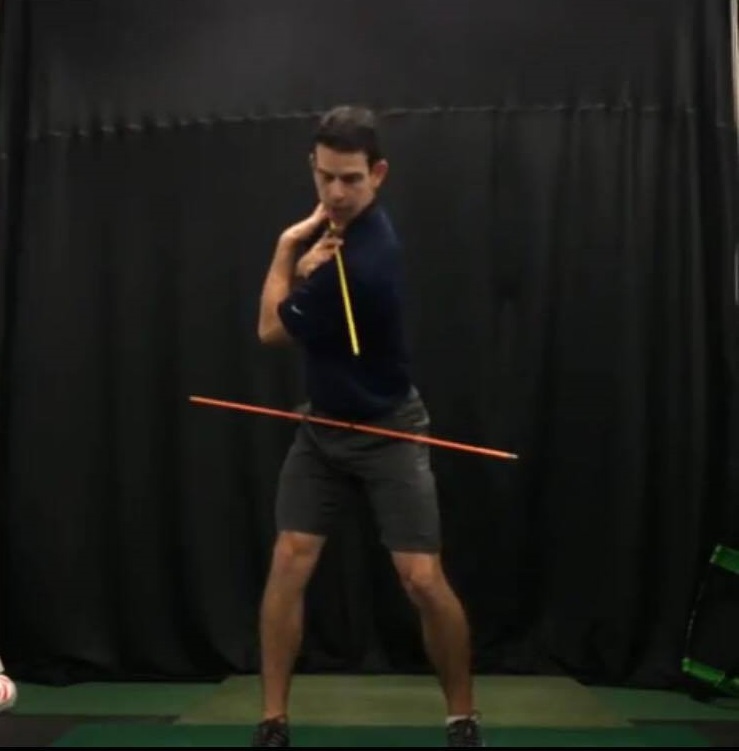 This is something that higher handicap players / short hitters don’t tend to do very well. The good news is that it is trainable. Their is a great mobility drill below if this is your deficiency. While the body of research clearly shows us that X-factor is not the only determining factor for generating high levels of club head speed, it certainly plays a part. One of the other key elements, “X-factor Stretch”, which talks about the transition and downswing will be discussed in the next post. This is when things get really interesting. For now though, here is an exercise you can practice to improve your X-factor. The seated position stops you from turning your hips to cheat, placing all of the emphasis on your upper body to do the work. The technical term for this is thoracic rotation. For more information, and a program for what you need to do to get your body “Fit For Golf”, check out my online training programs at the link below.